Earlier this week, Kylie Jenner announced that she wouldn’t be sharing any more photos of her daughter Stormi, and deleted all the images in which her face was visible on Instagram. Given that the Kardashian/Jenners’ offspring have lived in the full glare of the media spotlight for nine years, her decision was a massive break from tradition. 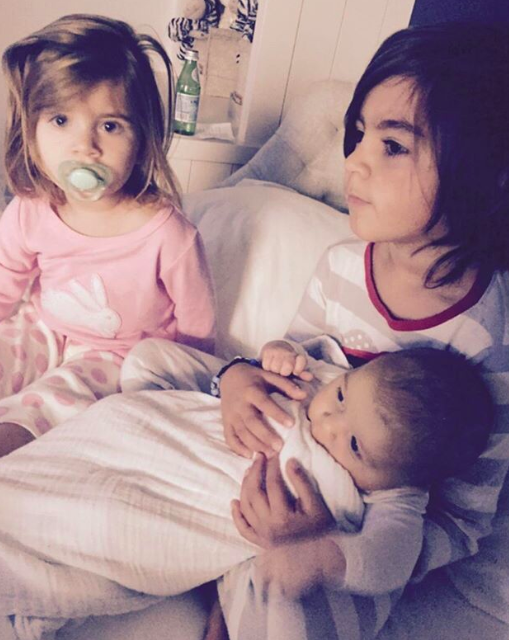 Kourtney was the first Kardashian sister to have a baby in 2009, and the process couldn’t have been more public. She discovered she was pregnant during an episode of Kourtney and Kim Take Miami, gave birth on Keeping Up With The Kardashians and sold the first photos of baby Mason to Life and Style. She followed a similar pattern with her second pregnancy in 2012, this time announcing the news in Us Weekly, sharing the first photos with the same publication and giving birth on KUWTK. Kim’s pregnancy with North West played out in a similar way – she discovered her pregnancy on camera, allowed her gestation to be filmed and even had a film crew in the delivery room. 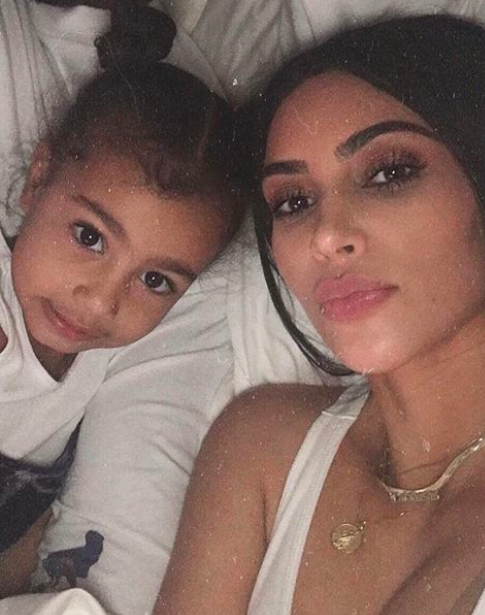 After North was born, Kim announced that she’d be taking a different route to Kourtney, deciding against sharing photos of North on social media or allowing her on KUWTK. However, this decision didn’t last long. 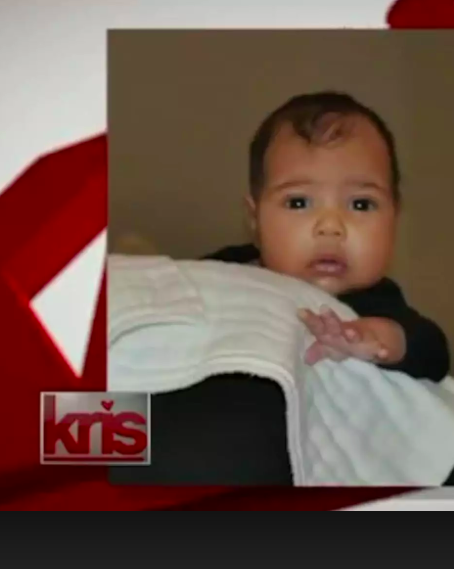 She and Kanye allowed the first photo of North to be unveiled live on Kris Jenner’s talk show, and within two months of her arrival, North was regularly appearing on Kim’s Instagram. The family’s ability to adapt and share their lives so completely on social media is a huge reason for their enduring success. 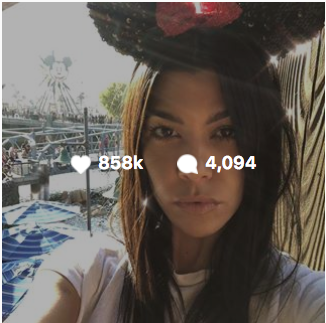 And, as Instagram’s popularity grew, they began shifting announcements and photos that once would’ve been reserved for magazines or TV, onto the platform. This was never more apparent than in the Kardashians taking ownership of their babies’ first photos. In fact, the sisters have deployed the same strategy with all five babies that have arrived since Kourtney gave birth to her third child in 2014. 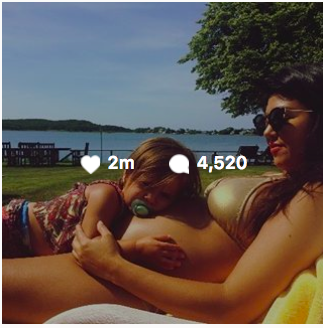 They wait around a month after giving birth and then share the first photo of the new arrival on Instagram. This allows them a few weeks of privacy while maximising coverage of the image when it’s released. After the first photo has been shared, the new child then becomes a regular fixture on the Instagram account. 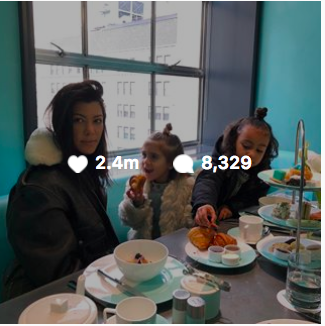 And, it turns out that photos of their children drive more engagement on the Kardashian/Jenner Instagram feeds than anything else. 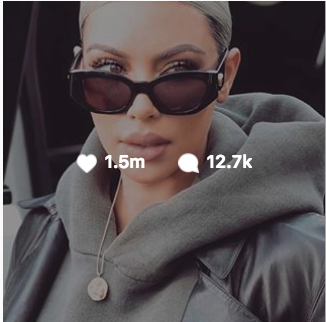 For example, this year alone Kim has posted 33 photos relating to her children, with these images racking up more likes than anything else on her page. 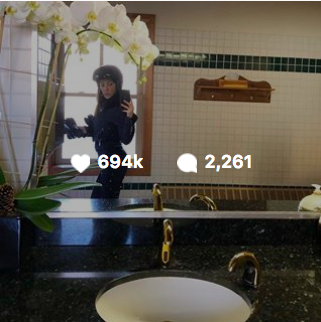 And the first photo she shared of her new baby Chicago in February has become her most popular Instagram post ever, with 7.3 million likes. 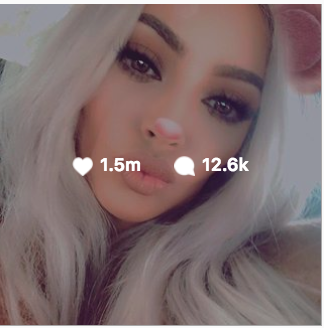 Similarly, Khloé’s pregnancy announcement and the first video of True have become her most popular Instagram posts ever, with 8 million and 6 million likes respectively. 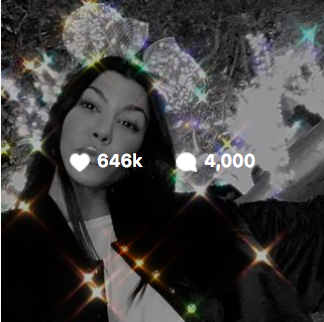 And Kourtney has posted 11 photos of her children so far this year, all of which have over one million likes in comparison with her selfies which regularly fall short of this milestone. 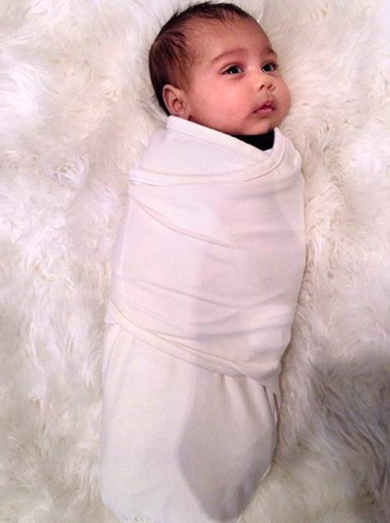 In Kylie’s case, she followed the strategy to the letter, waiting a month before sharing the first photo of Stormi and posting 10 further images of her. The impact was huge. 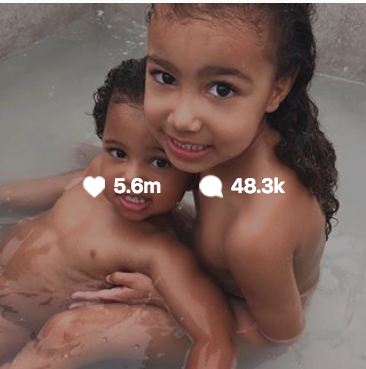 Photos of Kylie with Stormi now make up four of the top 10 most-liked Instagram posts of all time, with 51 million likes between them. 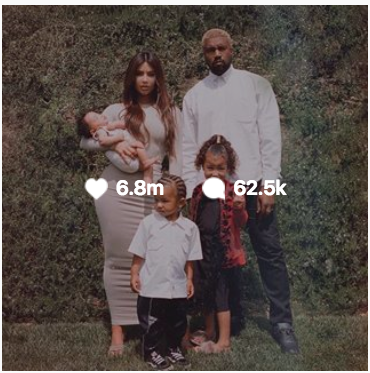 What’s more, Stormi’s name announcement and the first photo of her are the two most liked photos in Instagram’s history. 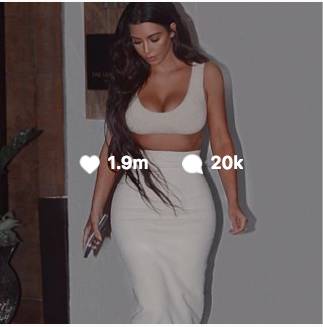 Kylie has also amassed nine million followers since December, with her posts receiving more interaction than ever before. All of which makes her decision to stop sharing photos of Stormi pretty radical. However, this decision is actually pretty in keeping with the way she handled her pregnancy. Kylie completely removed herself from public view and social media, managing to keep her pregnancy a secret for seven months and not even confirming the news until after Stormi was born. At the time, Kylie received a lot of praise for breaking Kardashian tradition and keeping her pregnancy and daughter private. Many people expected her to continue this tack after Stormi’s arrival, so maybe we should have seen this U-Turn coming. 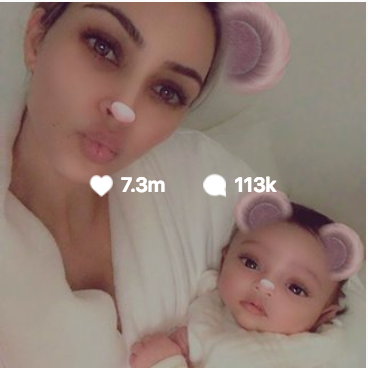 And, let’s face it, Kylie’s popularity soared when she did return to social media after Stormi’s birth, so if she changes her mind and allows her daughter a presence on Instagram, the followers and likes will be ready and waiting.